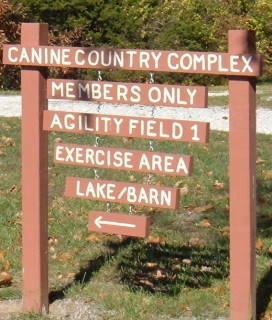 We offer the beauty and serenity of 223 acres of rolling farmland for you and your dog to spend some time together. There is plenty of room to allow your dog to run free and play in three large enclosed meadows that are twenty acres in size. 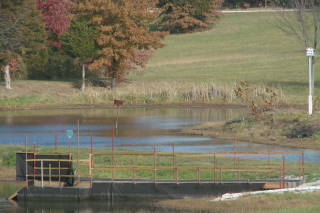 Enjoy the beautiful lake where you dog can swim and dive off the dock. Relax on the bench and watch your dog frolic to his heart's content. 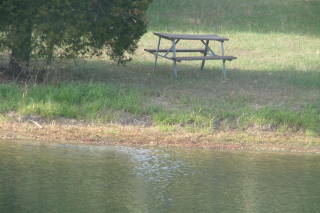 Or bring a picnic lunch and eat while the dogs play in the lake. 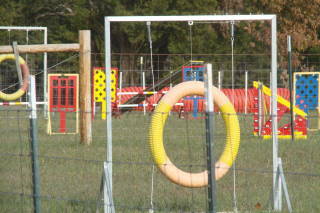 We offer two agility fields with lots of equipment for your dog. We also have expert trainers who will need to work and approve the dogs before the member can use the equipment on their own. 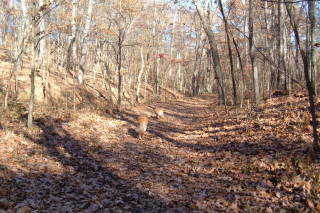 You and your dog(s) will love walking on the trail. 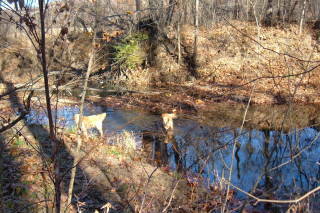 The trail will lead you down to the creek where your dogs can enjoy running in and out.